Hide project notifications by un-watching a project. 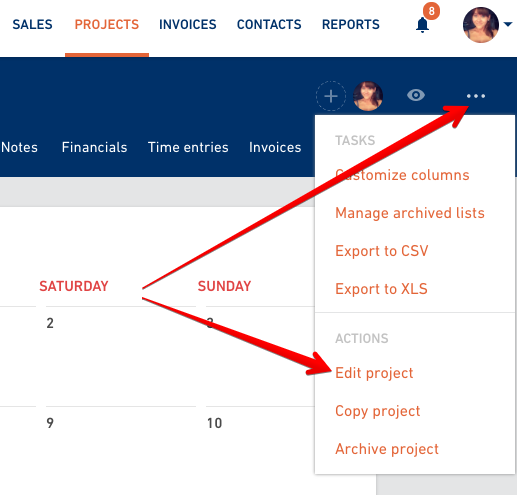 Change project name and project manager or switch from private to public easily. 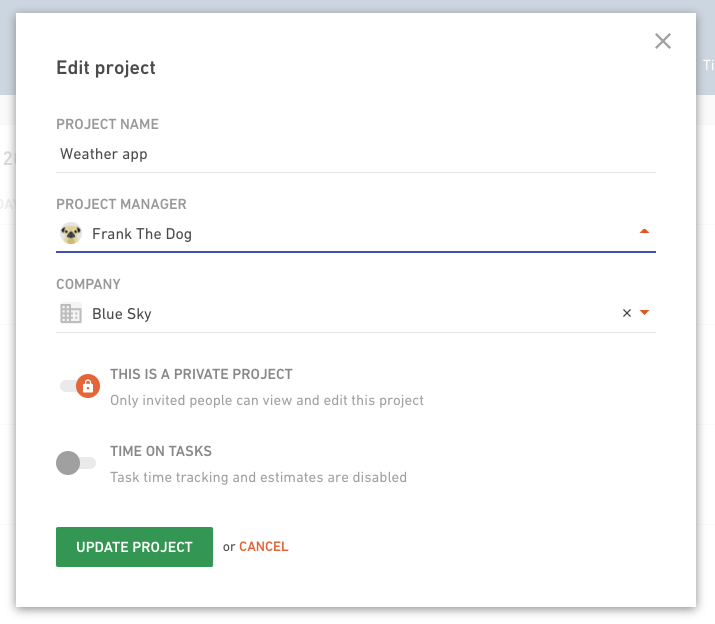 If you turn on project watching, you'll be getting notifications about all the activities on a project. 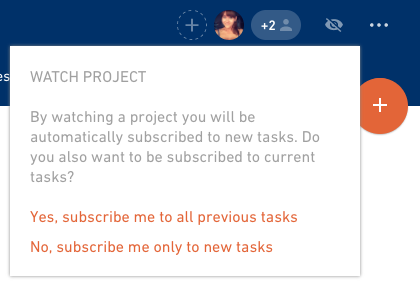 If you want to watch or unwatch a project, you have to be a project member first. Read here how to join a project. This could be useful if you want to track certain projects and be notified in real time what's going on. Switch between watching and not watching a project by clicking on the eye icon. Go to More actions menu and select Edit project option. Change the name of the project, person responsible for the project or the company. You can also make a project private or public.